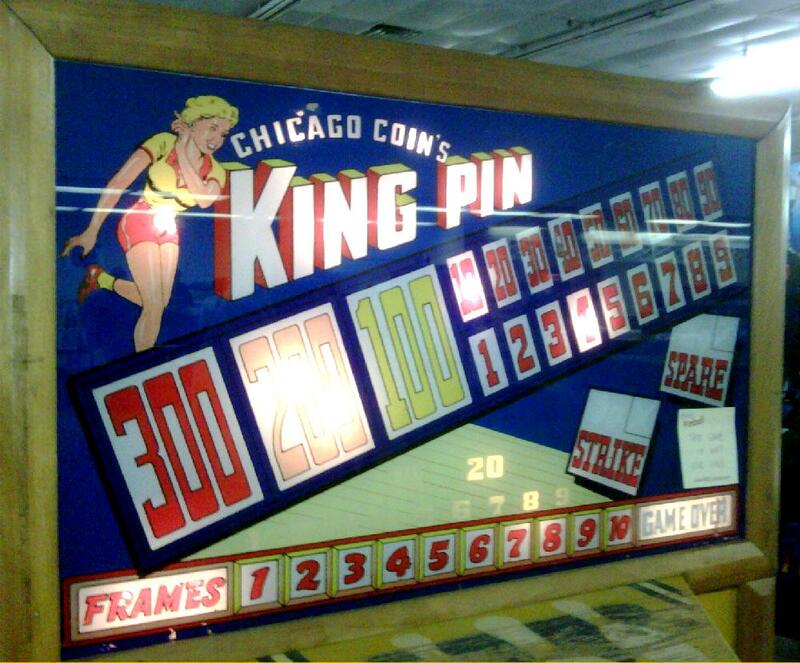 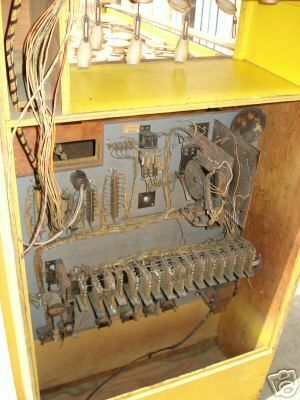 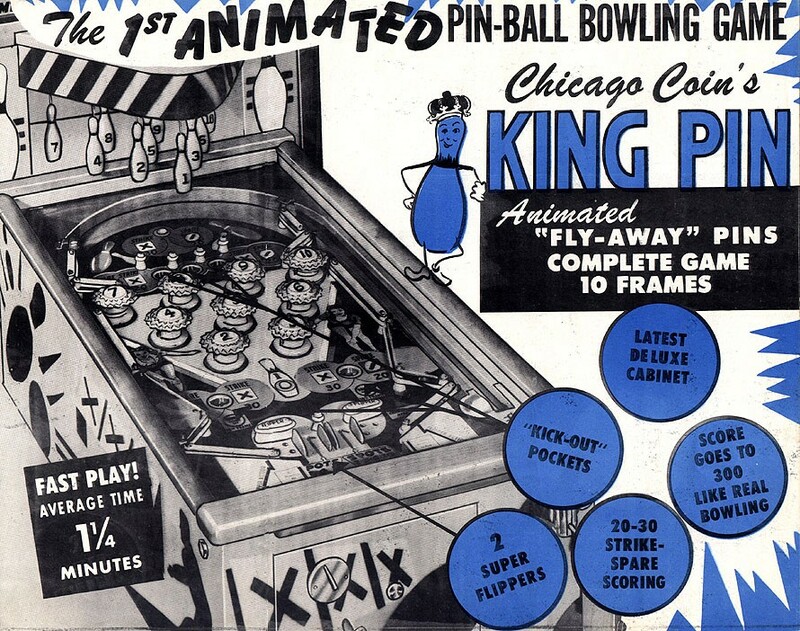 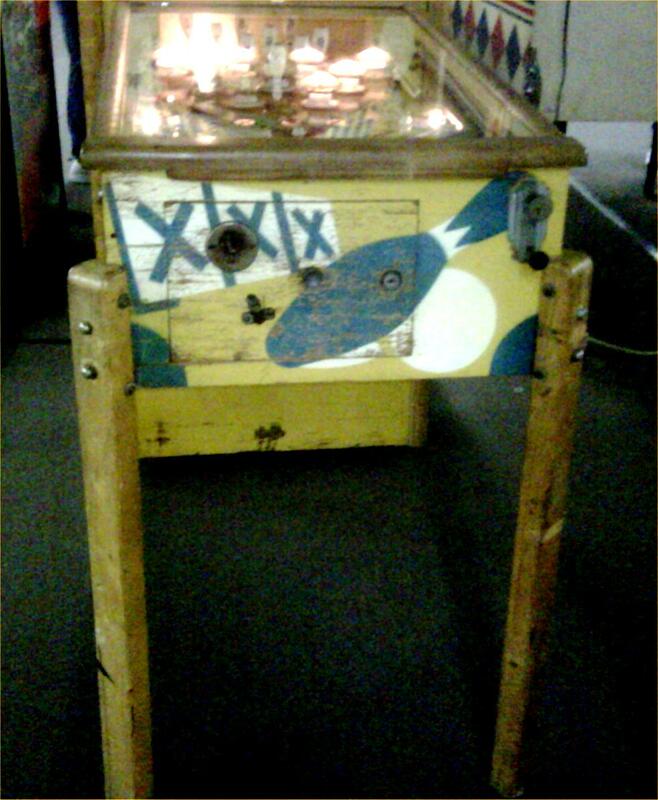 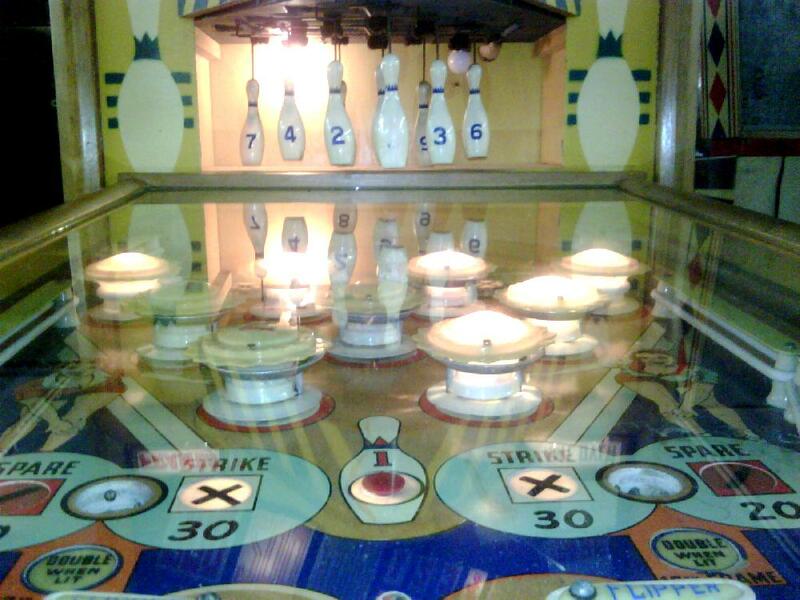 Description: King Pin, Chicago Coin, 12/51, a pinball machine with fly away style pins like a bowler. 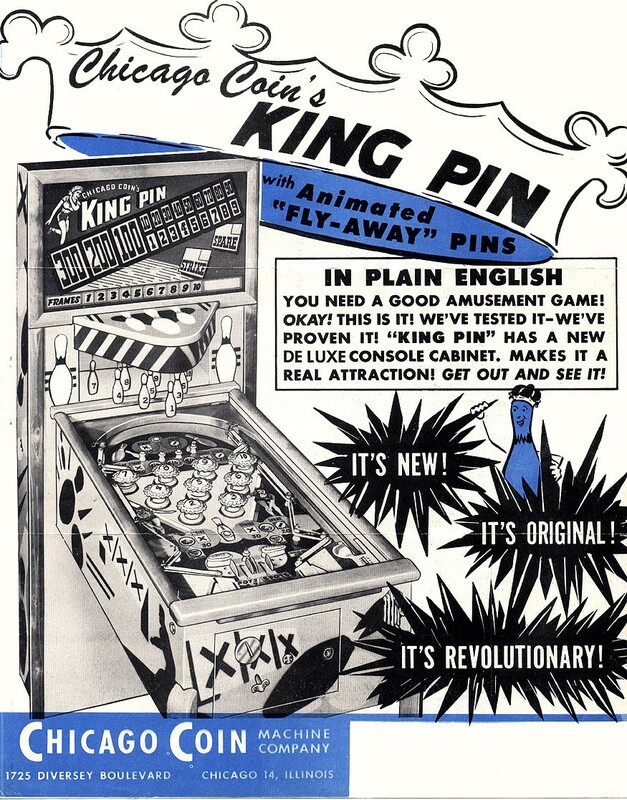 Each pop bumper is a pin, and when the bumpers are hit, they retract the according fly-away pin. 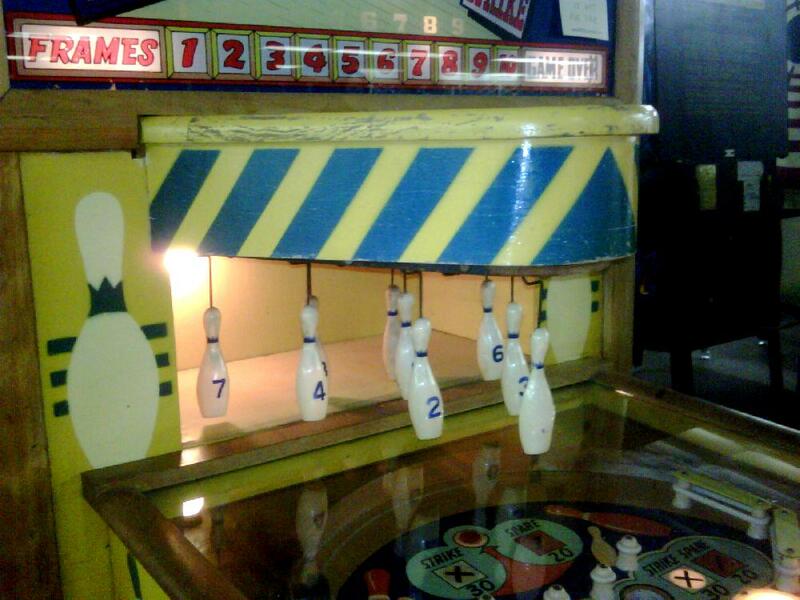 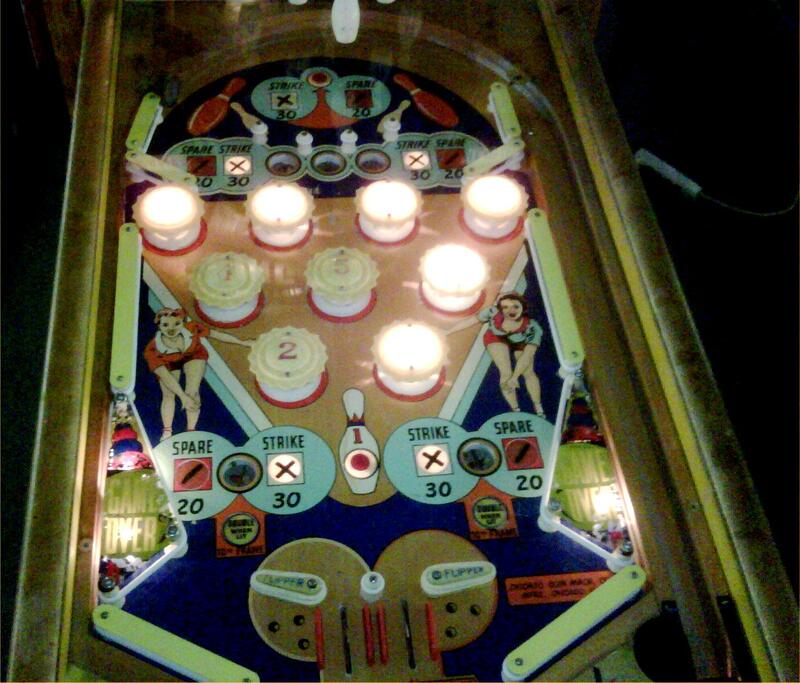 Really not a bowler at all but is a pinball machine that was morph'ed with a shuffle alley. 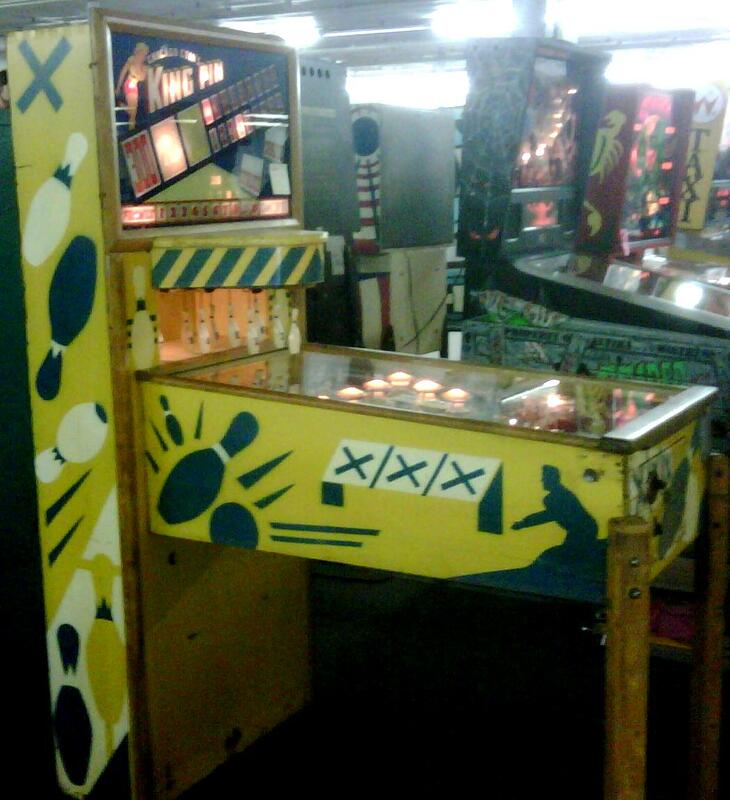 Both flipper activated together by either flipper button.